Agree in advance what is and isn't communal food. Most kitchen groups treat milk, butter, washing up liquid and toilet roll as communal and simply take it in turns to buy them. Try to keep in a few tins of beans and tomatoes and the like: they're perfect for emergency meals. 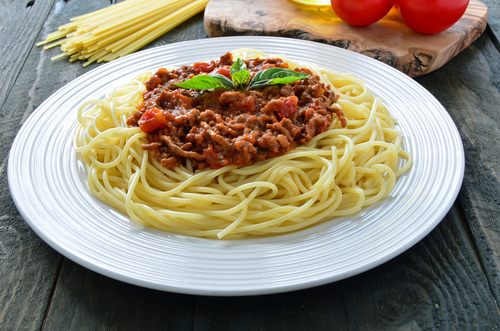 Eat together where possible... have a curry evening or a spaghetti bolognese and take it in turns with your neighbours to host it. It works out way cheaper than cooking for one, and if you host your meal and run out of cash for food later in the week, at least you know dinner is being provided by one of your housemates! Market stalls are usually far cheaper for buying vegetables than in a supermarket. Vegetables are considerably cheaper than meat. Try to use them as the basis for the majority of meals. This is not only frugal but also extremely healthy. If you can't share, cook more than you need and freeze some for another day. It saves money, both on food and on fuel used for cooking. Ready meals from supermarkets may look like the answer to eating without cooking. Just be aware that they are far more expensive than making it yourself - and usually full of nasty stuff like salt and saturated fat. A healthy diet they are not.